limited in longitude, Later a horizontal arc. (?) 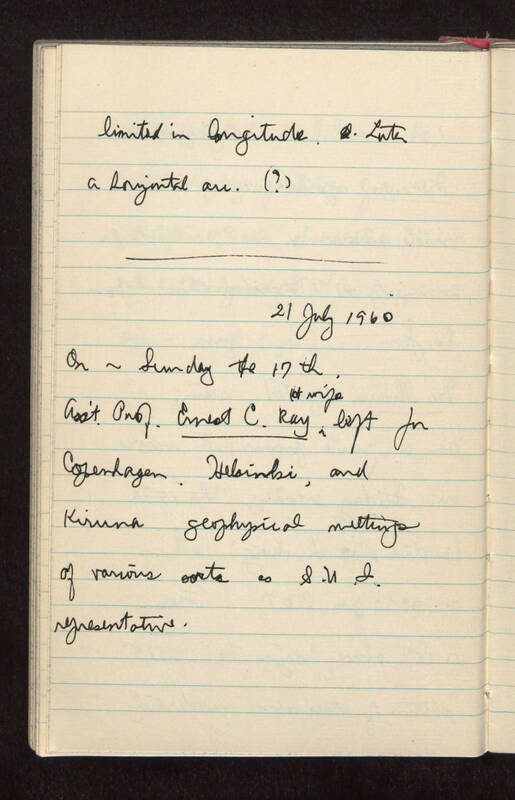 21 July 1960 On ~ Sunday the 17th, assistant professor Ernest C. Ray and wife left for Copenhagen, Helsinki, and Kiruna geophysical meetings of various sorts as S. U. I. representative.